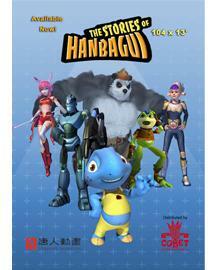 TV Series.The episodes tell the adventures of Hanbagui, the blue turtle and his friends, animals and transformers…who fight evil forces. Together they make the Universe a better place for all living creatures. Join Hanbagui and his friends in their quest for justice and peace. 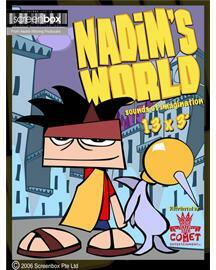 Meet Nadim and his imaginary friend, Todak and be transported into an imaginary world full of adventures as they listen to the sounds of the night amidst the darkness of his bedroom. Together they will embark on madcap quests that will thrill your senses and tickle your funny bone! 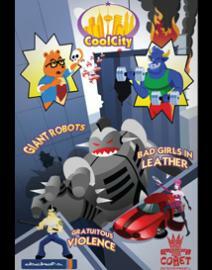 against sexual irresponsibility and to solve the most outrageous cases that take place in Temptation City. 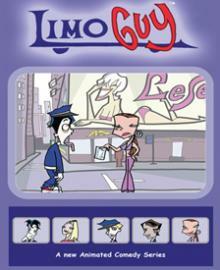 The show is packed with mystery, humor, and action. 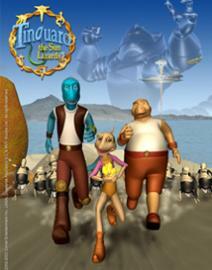 The Sun Lizards, is a comedy-adventure animation series of thirteen, 13-minute episodes. Set in the future, the story revolves around the relentless efforts of the belligerent scorpions and cockroaches from the continent of Aridia to conquer the peace-loving lizard of the neighbouring of the islands of Lizaria and gain control of their remarkable energy technology. The good-natured Lizarians have developed and advanced, eco-friendly technology utilizing stones called “Sun Crystals” that transform sunlight into pure energy. The evil Aridians will stop at nothing in their quest to seize their neighbors’ Sun Crystal technology and dominate the world. A comedy series narrating the funniest anecdotes in Olympic Games history, hosted by Oly (the Olympic spirit) and Pic (his alter ego). 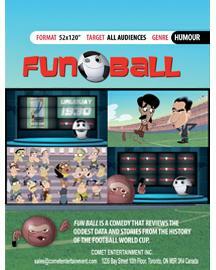 Funball is a comedy that reviews the oddest data and stories from the history of the Football World Cup. 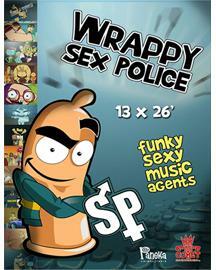 The series is an entertaining and educational show where children learn while they’re having fun. 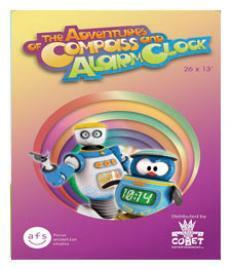 With Compass and Alarm Clock, children explore different locations and gain new scientific knowledge. They even learn how to build machines and other technological devices which can easily be made at home. friendship, self-esteem, helping others, kindness and tolerance. 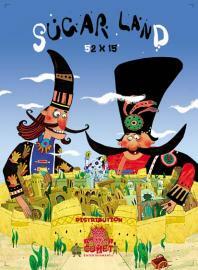 Welcome to Sugarland, a mythical place overflowing with unique and madcap characters from a different time and place. As in every city, Sugarland has its model citizens and its scoundrels. Some are gentle, and ready to lend a hand, and some are sinister and deceiving. But they all come together to create fun and laughter for one and all. So, join our zany cast of fun filled characters in Sugarland, as they share their legendary tales of old in familiar themes with twists and turns and entertain viewers of all ages. This animated series deals with every day cultural and social issues worldwide and shows possible solutions to conflicts in 1 minute episodes with no dialogues. Fun Farm is a very unique place. A farm operated by funny and weird animals. The most simple thing can turn a regular day at the farm into an exciting day of discovery and adventure. With their diverse personalities they react in completely different (and sometimes crazy) ways to the exact same event. This of course, creates conflict and tension between the characters… Hmmm… I think we have found a recipe for hilarious situations… and with no dialogues! 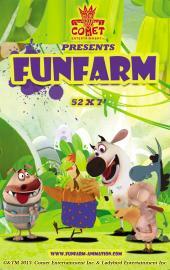 Well, if you loved Looney Tunes you will definitely enjoy Fun Farm. 3D HD Non- verbal comedy. No dialogues. 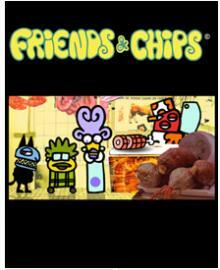 Friends and Chips is an animated series about a group of friends who are constantly trying to con their to the top at the worlds most famous and popular events. For some unknown reason, their leader Sheepskin always manages to get invited tothe coolest social gatherings around town and drags his friends along with him. He’s a young man on the move, but not in any particular direction. He’s Freddo the Limo Guy, and he’s trying to get by. Not sure what he want’s to do for a living, he’s really sure it’s not limo driving. He spends his days carting mostly uncaring but often-colorful clients uptown and down for minimum wage and tips. 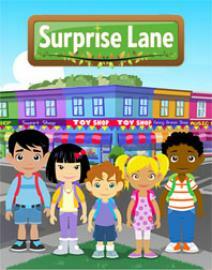 Surprise Lane is home to 5 children who live as neighbours in different shops. In each episode, a surprise occurs and a schema –related gift (contained in their backpacks) helps them solve the challenge of the day. 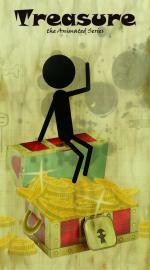 The children help their shop – keeper parents (who don’t know that it is the children who make their shop successful). It is perhaps the most educationally – driven show ever to be made, developed by Jacqueline Harding (a renowned educationalist and child development expert) formulated through years of research. Nothing is accidental in the show; all signals, music, vocabulary, humour and narrative have a designed purpose. Theo the teddy bear, a former child star, now a pretentious actor, is stalked by his mysterious landlord Takashi, who wants to make new stuffing for his cushions out of him… unless he pays the rent. But the ex-megalomaniacal villainess turned into talent agent, comes with a solution: Theo can share his apartment with the brainless, muscular Spanish bull Ramon.